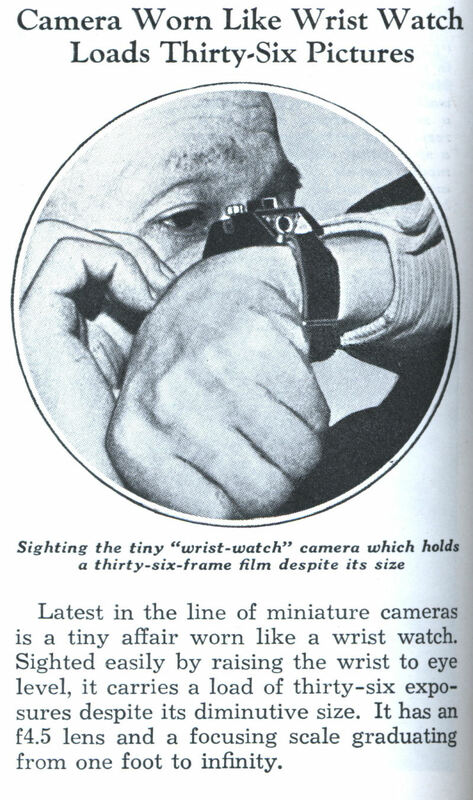 Latest in the line of miniature cameras is a tiny affair worn like a wrist watch. 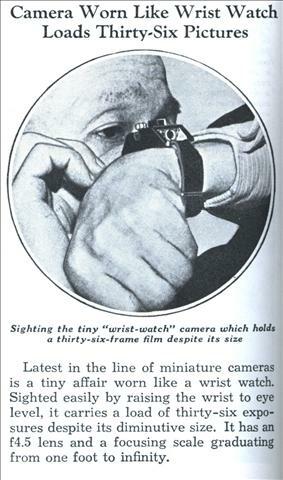 Sighted easily by raising the wrist to eye level, it carries a load of thirty-six exposures despite its diminutive size. It has an f4.5 lens and a focusing scale graduating from one foot to infinity.